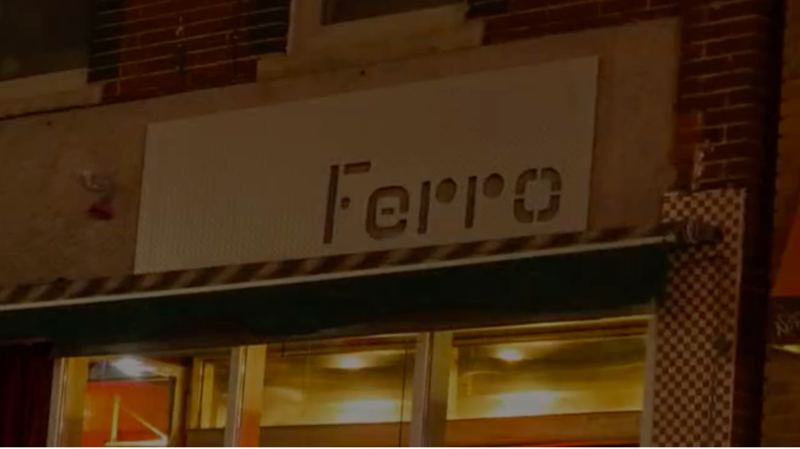 Ferro has been established and family-operated since 1993. The Space: Originally a billiard hall of colourful yet dubious character which endured for over 20 years, the Pronesti family took possession over two decades ago and added eclectic yet tasteful elements of industrial, avant-garde design while maintaining the vibrancy and creative energy of the original space. The Food: Serving up traditional southern Italian cuisine with a creative spin where we feel you will enjoy it! Our original culinary ambitions have never changed: By holding true to the family recipes and dedication to fresh ingredients as passed down through the generations that have preceded us, we bring you authentic, honest, home-cooked food the very same way we enjoy it. Our Style: We believe in the traditional family-style of a crowded table filled with quality, delicious foods and plenty of welcoming hospitality. As many of our customers will confirm, we’re not shy when it comes to getting out front and setting the tone! We love being involved whenever it’s possible for us to interact with you – and yes, that may also mean catching us at the bar and toasting to a great evening! Groups? As the neighbourhood changes, so do we. An enlarged backroom space now allows us to accommodate various types of large group parties including corporate functions and celebrations of any kind. If there are any questions you have for us or anything that we can do for you; please call.